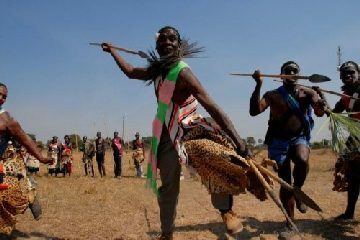 In Zambia, the Shimunenga Ceremony of the Ba-Ila people of Maala in Namwala District is celebrated on the weekend of the full moon in September or October. Early in the morning of the first day, people gather at the shrine of Shimunenga, where traditional songs are chanted. There is also a cultural march past of women and girls in traditional attire, after which people are treated to performances by traditional dancers. On the following morning, the drum is sounded and animals are taken to the river, where cattle is displayed in the traditional manner. The first cattle to cross the river will be those of the custodian of the shrine. This is followed by a demonstration of a mock lion hunt and pelican fishing. The occasion is marked with traditional songs in honour and praise of the Shimunenga ancestral spirits. Celebrations continue in the village with pit-stops for traditional beer at different places. During N'cwala festival, held on 24th February, the Paramount Chief of the Ngoni people of Eastern province commemorates the Ngoni's entrance into Zambia in 1835. 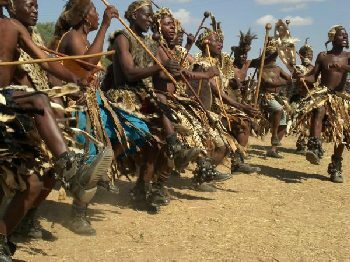 Marked by feasts, music and some of the best dancing in the country, the ceremonies are held in Mutenguleni, 15 kms south-west of Chipata. The festival is based on the Ngoni tradition of offering the Paramount Ngoni chief of the first produce of the year. Twelve local chiefs from the Eastern Province travel with their finest dancers to the village of Mutenguleni, where the ceremony takes place. Each group dances before the Paramount chief, and he elects one group as the best warrior dancers. The Paramount chief watches and takes part in the dancing. He drinks the blood of a cow killed at the N'cwala as a symbol of the first harvest food, and as a blessing for his people to start harvesting and eating. Lwiindi is an annual festival of the Tonga people of southern Zambia. It is a thanksgiving ceremony which attracts people from around the country. It takes place at a Place called Gonde, near Chief Monze's place in Monze District. The dates for this ceremony is normally, the first weekend of July during the country's Heroes and Unity holidays. The Tonga lwiindi ceremony would not be complete without mentioning another aspect of Tonga culture – the shrines. These are allocated at Gonde, which means thick bush. The Tonga visit these shrine to ask for rains from their ancestors or assistance with eliminating disease. At the shrines there are two huts built on top of the graves of the sacred Tonga chiefs, Mayaba and Nchete Ilya Mabwe. In praying for the rains the Tonga brew beer, slaughter a black goat or chicken or even a cow. The ceremony attracts so many people, including, politicians, representatives of opposition parties, and hundreds of people beyond the province. Kufukwila Ceremony, Zambia is one of the most striking festivals of Zambia that is enjoyed grandly by all the travelers in and around the cities. The Republic of Zambia is a non-coastal country that is enclosed by the countries like Democratic Republic of the Congo, Tanzania, Malawi, Botswana, Mozambique, Zimbabwe and Namibia and Angola. The capital city Lusaka is located in the southeastern part of the country. The country is full of several attractive places and tourist destinations. Other than visiting the sightseeing attractions, you can also indulge yourself in several festivals. 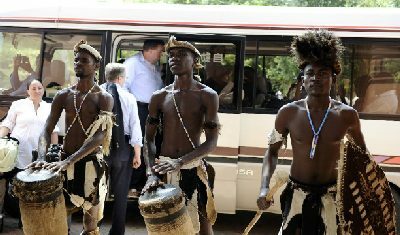 Of all the cultural festivals, the Kufukwila Ceremony, Zambia is superbly enjoyed by all the travelers. This country has hordes of prime cultural festivals that are seldom seen by the visitors. The festivals are the genuine occasions that are performed for the advantage of the native people and the participants. 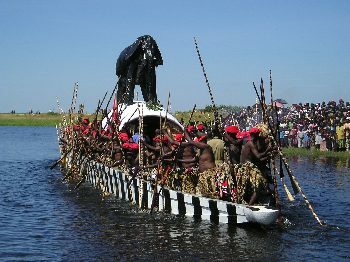 Kufukwila Ceremony, Zambia is one of the most striking festivals of the Zambia country. This festival is celebrated in the month of May in every year. In the month of May, Kufukwila Ceremony, Zambia is grandly celebrated by the Kaonde tribe. The people of Kaonde Tribe of northwestern Zambia rejoice the royal ritual of Kufukwila. The native Zambians pay their admirations to their ruler with ritual of feasting and dance. Kuomboka Festival, Zambia is one of the alluring festivals of the country that sees a huge influx of tourists every year. While you go for Zambia Tours, you can spend your time in sightseeing the attractive places, shopping and other activities. You can also indulge yourself at the great festivals of the country. Among all the ceremonies and festivals, Kuomboka Festival, Zambia is the most attractive one for all. Zambia has over 20 yearly conventional ceremonies displaying the social customs, communal life, rituals, verbal history, material and religious culture. These festivals and ceremonies provide a precious insight to the conventional traditions that has been derived from generation to generation. Kuomboka Festival, Zambia is one of the most attractive festivals among them. Most ceremonies have a profound significance in several cases decorated to call upon the memories of the conversion from childhood to adulthood. The Kuomboka Festival, Zambia is the most popular of the ceremonies that takes place in the Western Province of Zambia. This festival is celebrated during the month of February or March. Sometimes, this festival is celebrated on a Thursday just before full moon. The exact date would only be known just a week or so in advance since the Lozi king determined upon it. Today, the ceremony of Kuomboka Festival, Zambia draws several visitors every year. This is usually held at Easter; if the water levels are not high enough, then the ceremony will not take place at all. Livingstone Festival is one of the famous festivals in Zambia. In fact, it is the biggest festival of Zambia. A historic colonial city, Livingstone is presently the capital of the Southern Province of Zambia. The Livingstone Festival is celebrated in this historic city. This annual festival in the country aims at displaying Zambian talent in every area of arts. It also aspires to bring in famous acts from overseas. Thus, tourists make it a point to witness the Livingstone Festival, Zambia on their tour to Zambia. On the occasion of the Livingstone Festival, Zambia the streets of Livingstone are specked by performance artists, theatrical troupes, music groups, jugglers and clowns. The site of the festival is situated just a few kilometers from the Victoria Falls. Presence of this well-known tourist spot makes this festival even more popular. The festival generally takes place in the month of August. Famous performance artists from Britain, Anne Bean and Zhenya Iljon, who have created a wonderful blend of music, sculpture and performance.